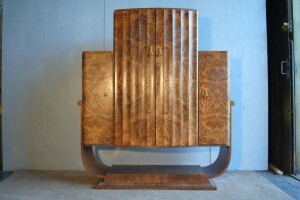 What an amazing piece, there are not too many like this, Simply stunning! 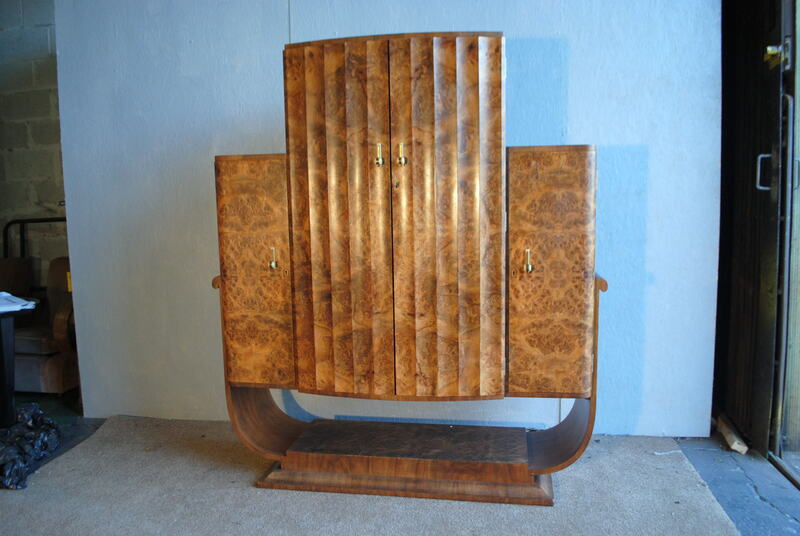 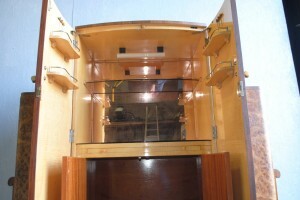 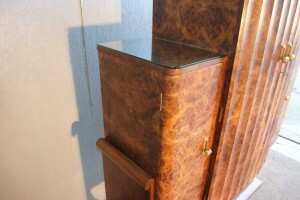 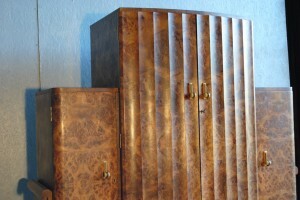 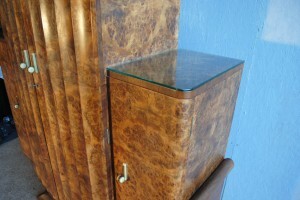 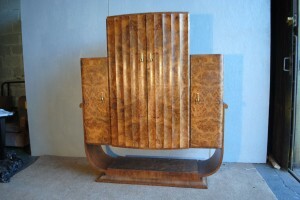 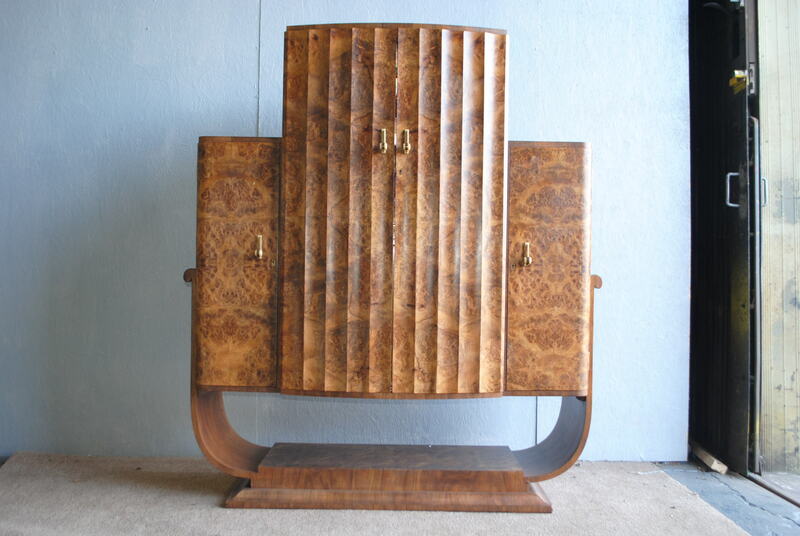 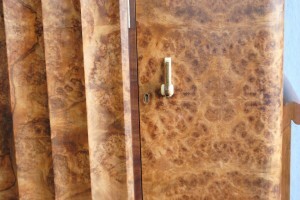 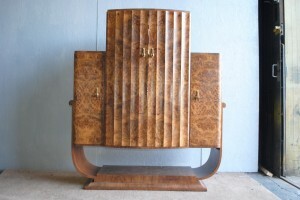 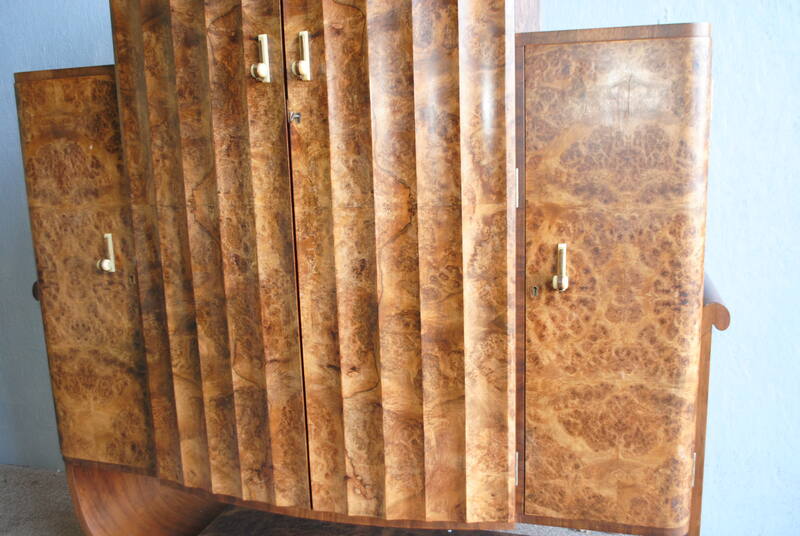 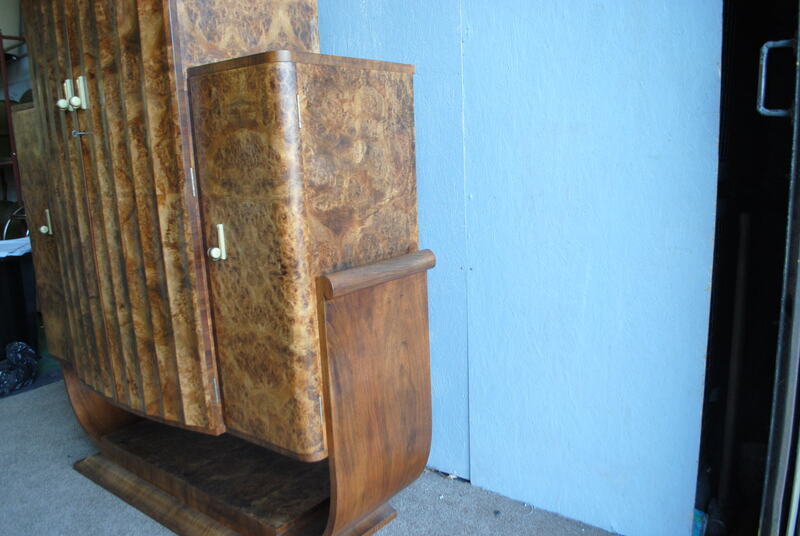 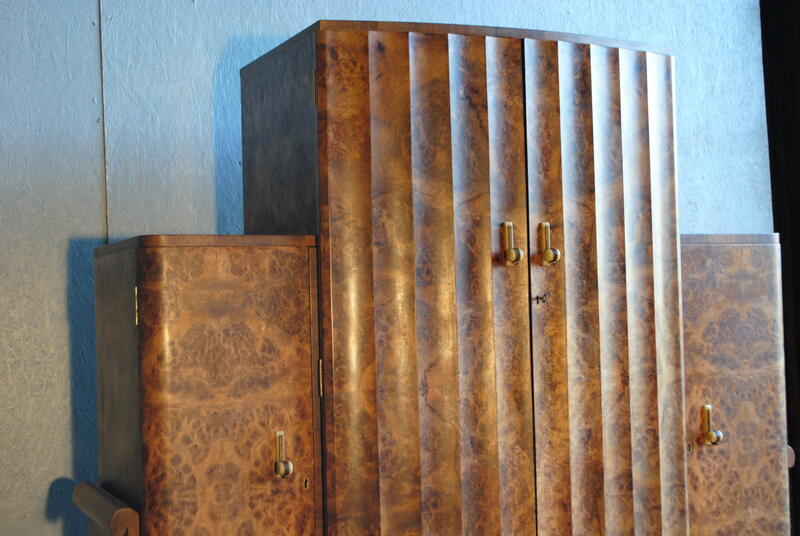 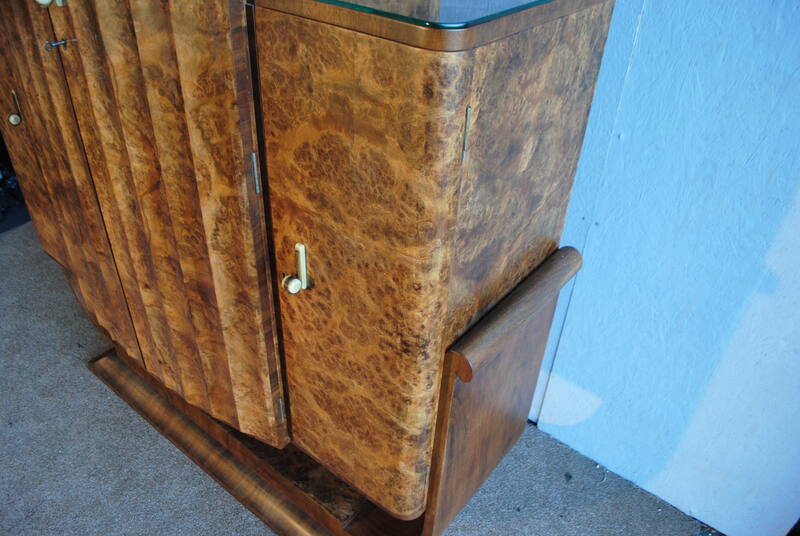 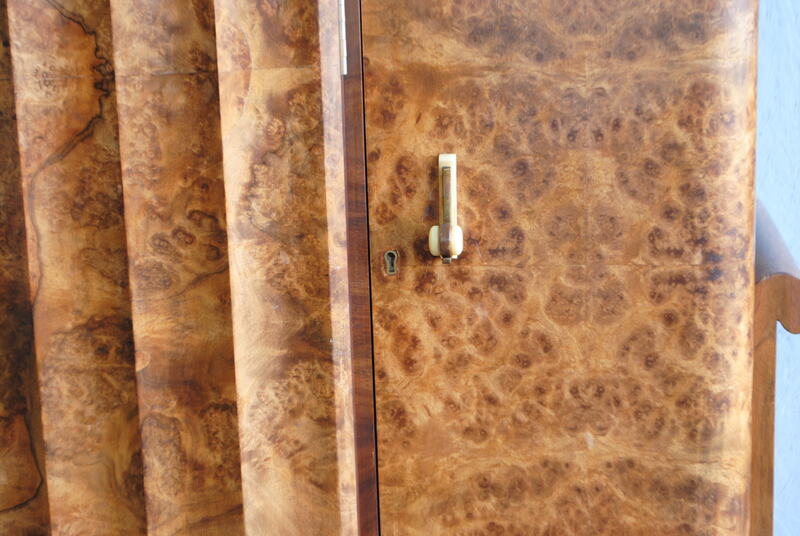 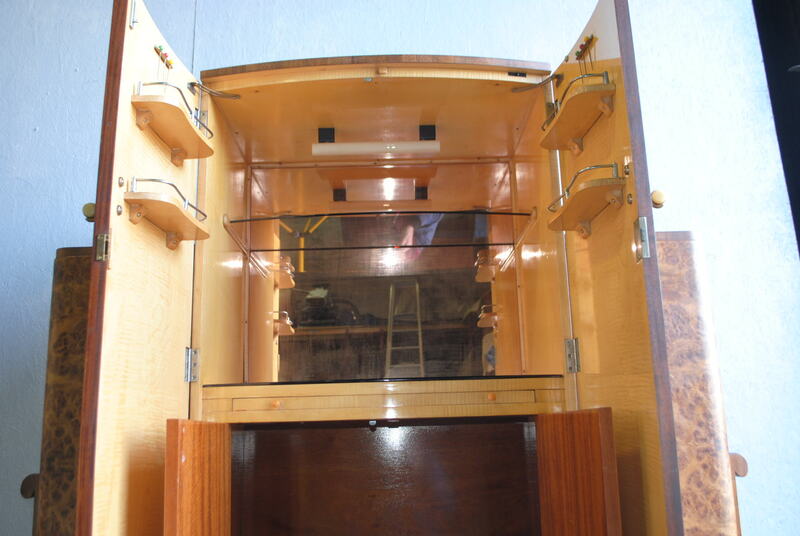 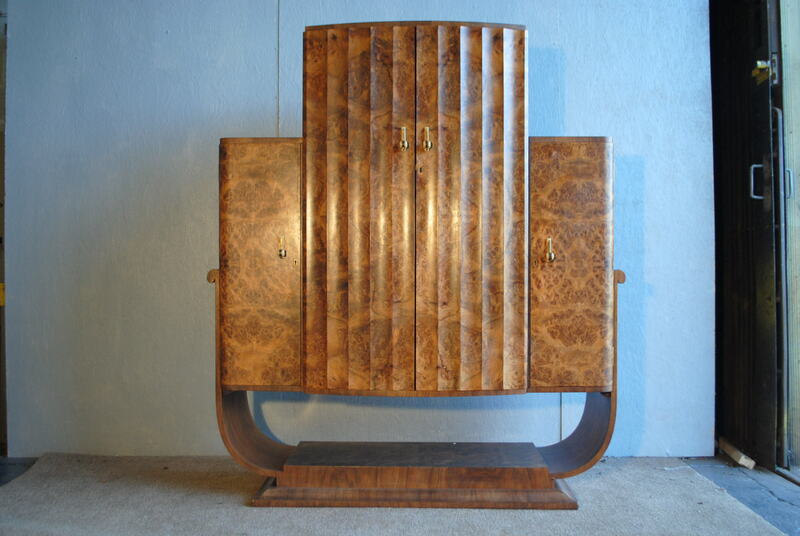 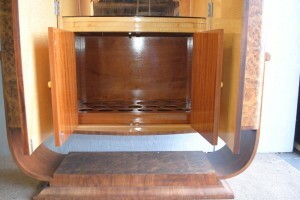 An original Art deco Walnut Epstein Cocktail Cabinet on the fabulous boat base in truly fantastic condition. This has everything and will be the conversation piece of your collection. 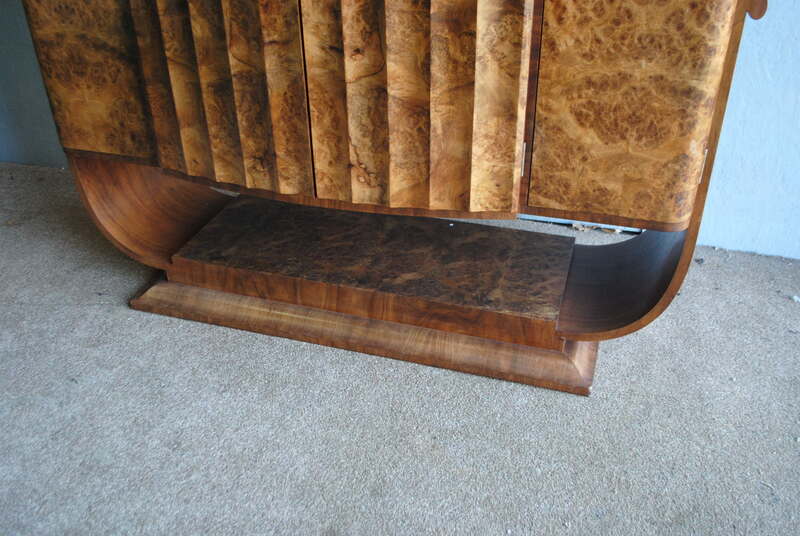 Furniture just does not come along like this very often. 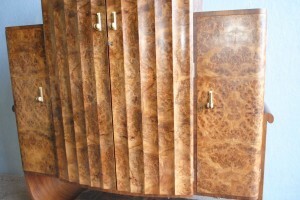 Finished in burr walnut veneers with a bright satin wood interior and beautiful pink mirrored glass cocktail area.